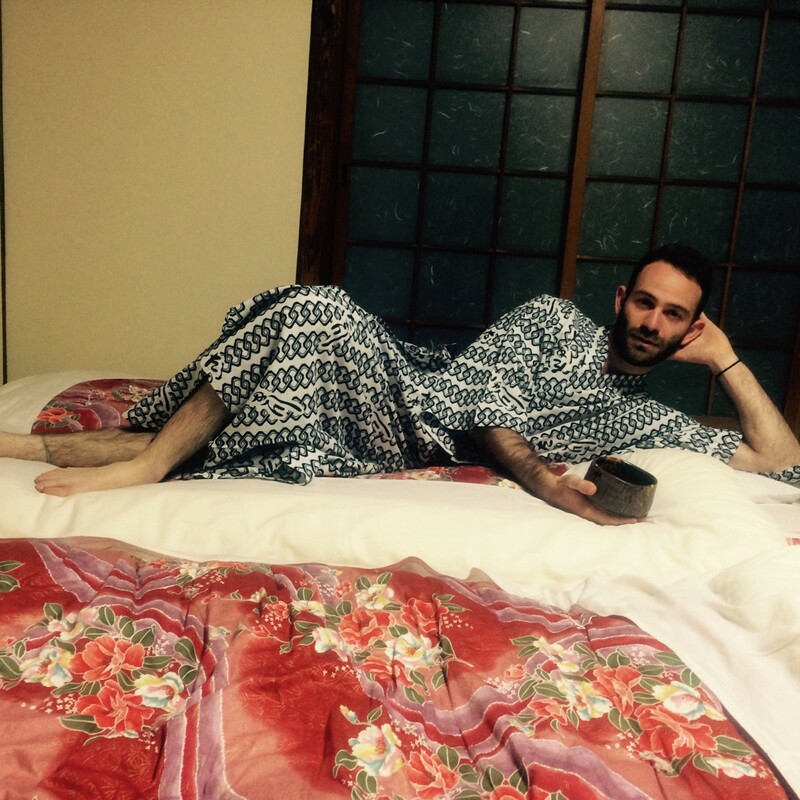 “Konnichiwa, Ladies”: I Fell In Love With Japan…But Did It Love Me Back? DoSomething.org offers an incredible opportunity. Work there for two years, and you’re granted a month-long paid leave to do unpaid work anywhere in the world. Current staffers have: worked with orphaned children in Colombia; advised on a business plan for a solar power company in Peru; created social change campaigns in Indonesia; tutored Indian girls who were child brides; created a WhatsApp communication strategy for an LGBT organization in Paraguay; worked on a girls empowerment program in Kenya; designed websites in London; created an addiction-recovery app while backpacking through Southeast Asia; combatted youth unemployment in Spain; taught English in Cambodia; and more! 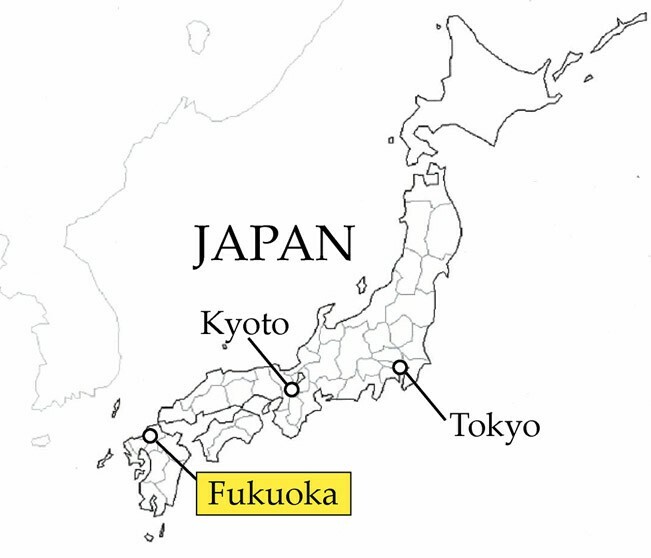 I recently returned from my sabbatical in Munakata City, Fukuoka, Japan, where I wrote English textbook materials at the Fukuoka University of Education, conducted conversation classes, and taught dance. 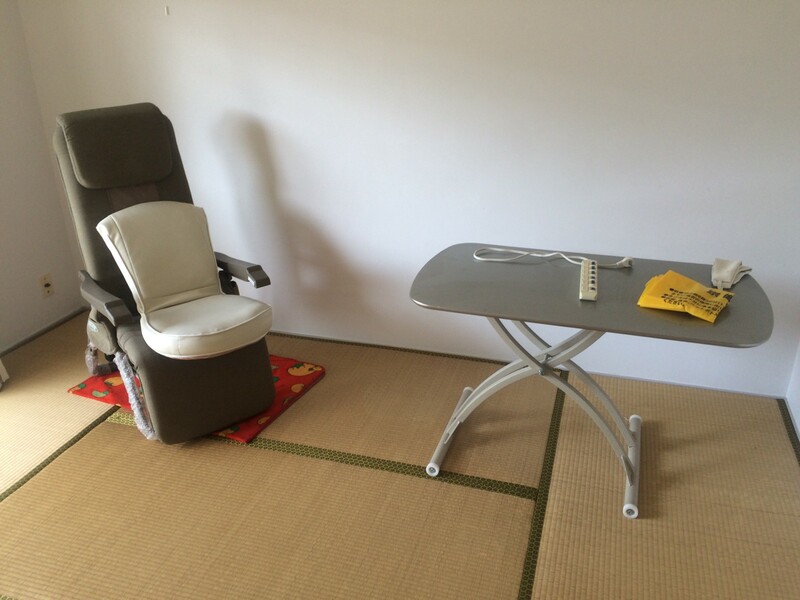 The university was generous enough to put me in staff housing, which had everything I needed and more, including this unused massage chair someone had apparently abandoned from The Sharper Image in 1997. 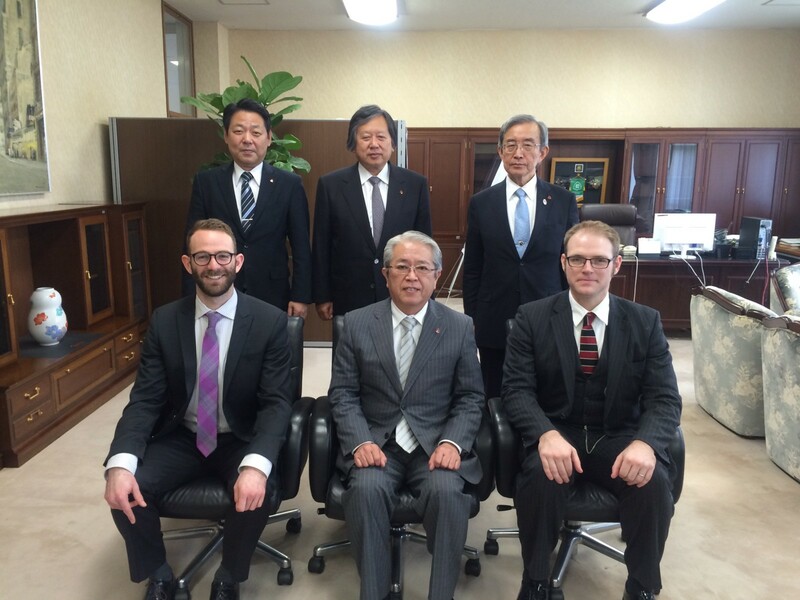 On my first day, I met the president of the university (bottom center). No one told me I wasn’t supposed to smile in the photo. On the right is Professor Quint Oga-Baldwin, my liaison for the trip. When I arrived, he sported glasses and a beard. Everyone said we looked like brothers. When he shaved and I took off my glasses, people said we looked like father and son. Apparently in Asia, all white people look alike. This is the (rather picturesque!) 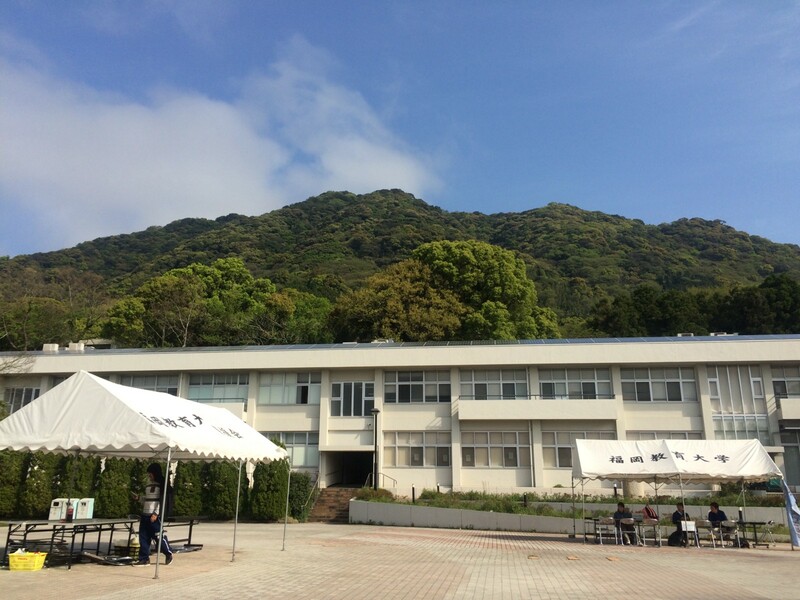 Fukuoka University of Education, where I wrote a semester’s worth of textbook materials. The professors would give me general topics, and I’d pitch specific reading and listening passages. When prompted to write “an opinion on a movie or a TV show”: I dialed up an extremely favorable review of the 1993 family-friendly baseball classic, Rookie of the Year. 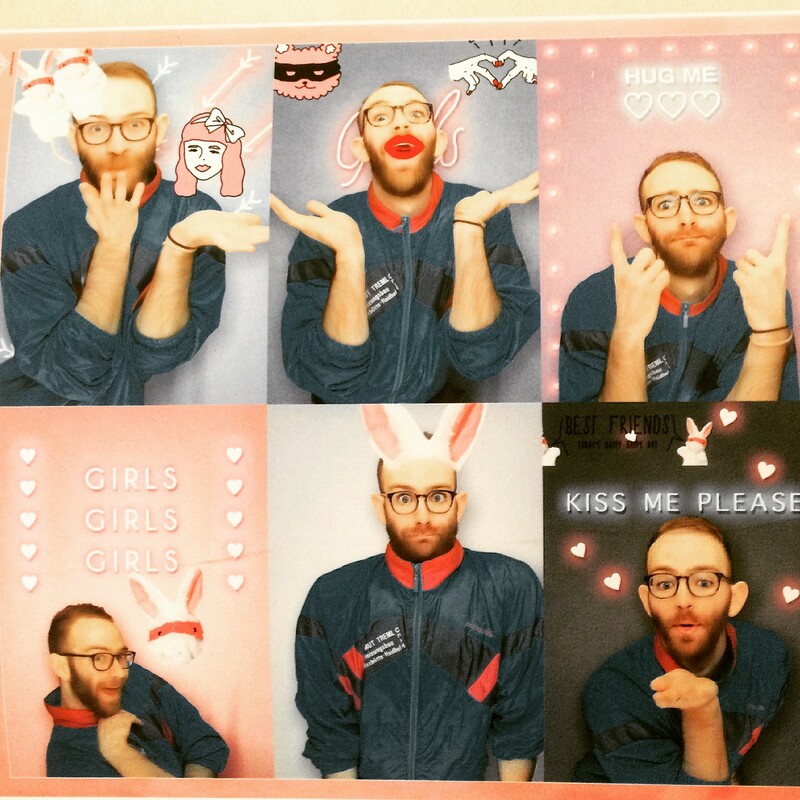 For “a travel experience”: I chose the time I got lost and creeped out arcade staffers by spending an entire morning taking selfies in a Tokyo arcade! For “a significant life event,” I chose my bar mitzvah. So in case you’re wondering, yes, there are Japanese college students currently reading about my bar mitzvah party. And in case you’re wondering, yes, my theme was “Club Ben: Hip Hop ‘Til You Drop.” And yes, all partygoers received black bouncer T-shirts with SECURITY printed on the back. This is outside the gym at the university. 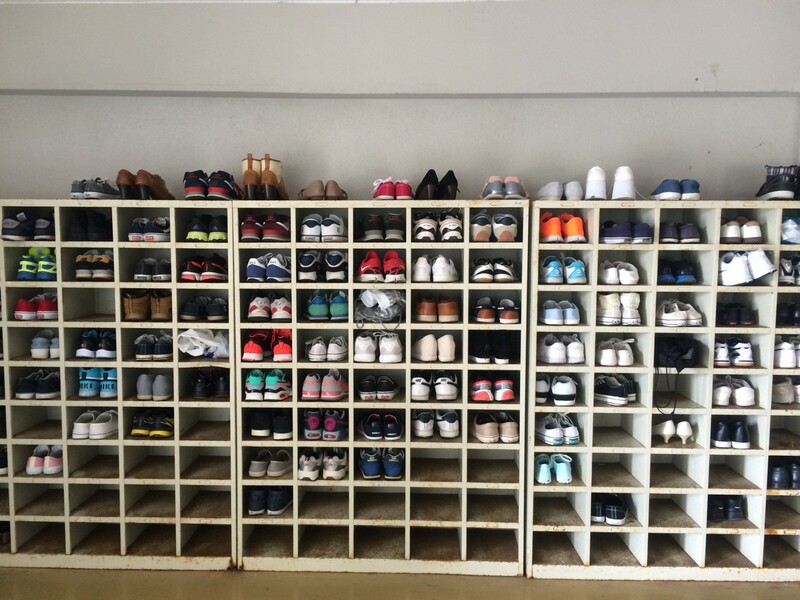 The Japanese take off and/or change their shoes before entering many places. It’s like the entire country is a bowling alley — a super clean and friendly and beautiful bowling alley. 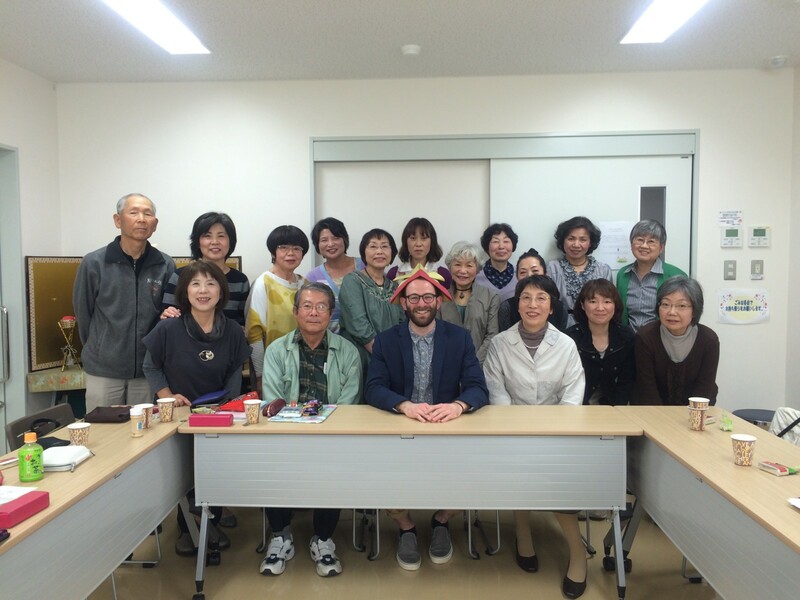 The retirees in these classes were some of my favorite people I met in Japan. Most were in their 70s and 80s, and many had just started learning English, all for a variety of equally impressive reasons: Because they wanted to travel to an English-speaking country. Because their children had married English speakers, and they wanted to communicate with their in-laws. Because they wanted to ward off Alzheimer’s. I was inspired and amazed by the retirees’ intelligence, vigor, and reverence for life. One had just completed his umpteenth marathon. One won the national 70+ badminton championship. One made me this hat. In one class, the teacher distributed green tea-flavored Kit-Kats to all of us. I mentioned offhand how much I love those things, and the students sent me home with dozens of them, along with cookies and an entire loaf of bread. 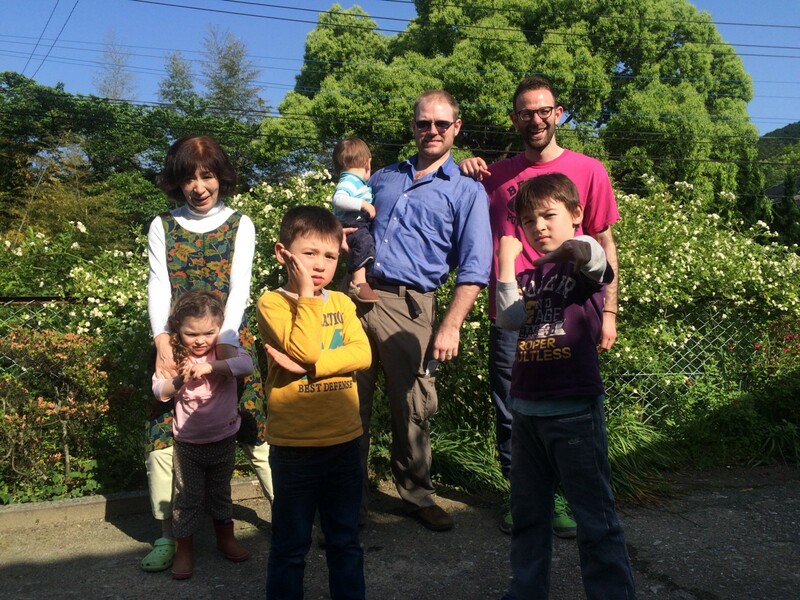 Turns out Japanese grandparents and Jewish grandparents ARE THE SAME PEOPLE. I was billed as one of the “main attractions” of a walking tour of a local fishing village. This is the poster for the tour, which features my photo from the #TBT-themed DoSomething.org staff page. (I’ll admit I missed the mark on “TBT.) When I showed up at city hall, this is what everyone expected I’d look like. 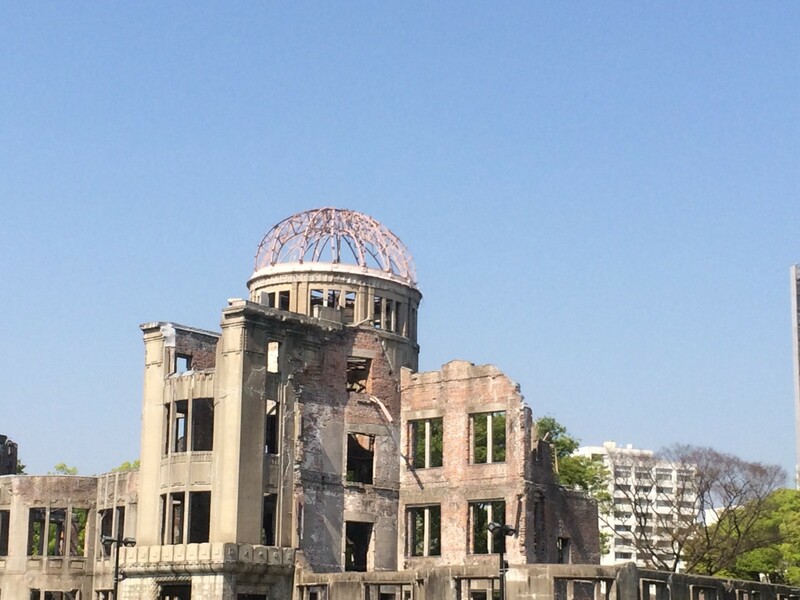 I took a day trip to Hiroshima, which was a complicated, difficult, and powerful experience. A beautiful city, too; I’d recommend visiting if you have the chance. At the train station, half the people were there to visit the A-bomb memorial and museum. The other half were diehard baseball fans, there to support the local team, the Hiroshima Carp. A fascinating dichotomy that in many ways exemplifies the differences between pre- and post-WWII Japan. 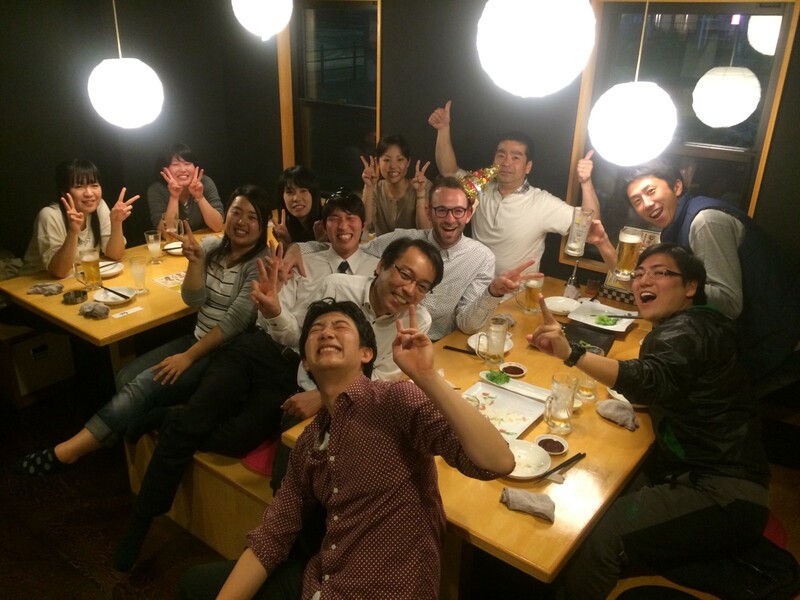 The Munakata City Hall staff threw me a surprise party on my birthday. Sweetest thing ever. They love surprises and especially love parties and especially love drinking at these parties. Let it be known: the Japanese frat hard. Quint, the professor, generously invited me to his house for a holiday hangout. I ate freshly picked kumquats in a solar powered house in the middle of a bamboo forest. I got schooled by Quint’s 12-year-old niece on how to properly hoe a bamboo chute out of the ground. At one point, Quint popped out his shoulder while picking up his one-year-old. Happens all the time, apparently; some kind of nagging injury. So I helped him move a table so he could martial arts roll on the tatami mat to pop his shoulder back in place. Badass and surreal. Pictured here: Quint, his four kids, and his mother-in-law. Not pictured: Quint’s wife, father-in-law, brother-in-law, sister-in-law, niece, nephew, and semi-domesticated Akita, which is perpetually tethered to a long rope and which the family feeds but doesn’t allow indoors, with good reason. I’m hoping this ends up on a flyer someday. Shizu, my liaison at city hall, quarterbacks all kinds of international events in Munakata City. 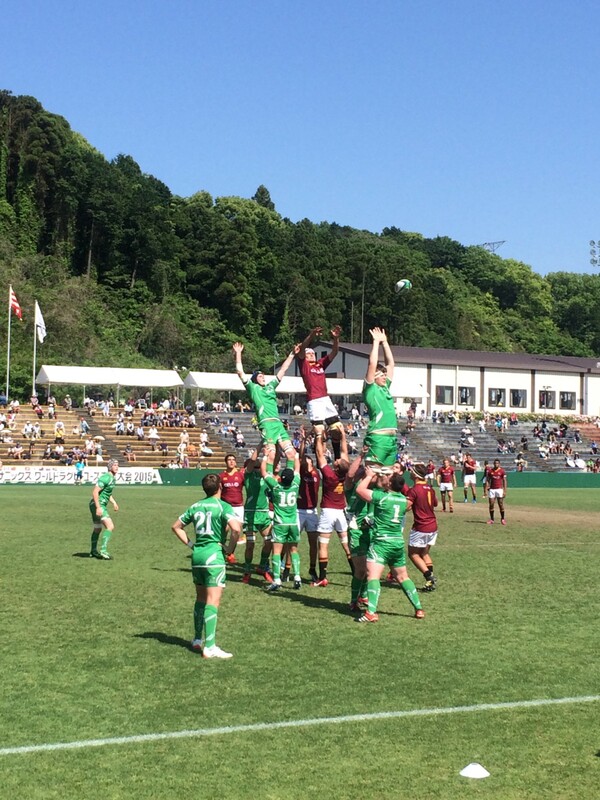 There was lots going on while I was there, which meant that I went to Japan to watch a South African rugby and a band of Scottish bagpipers. Naturally. 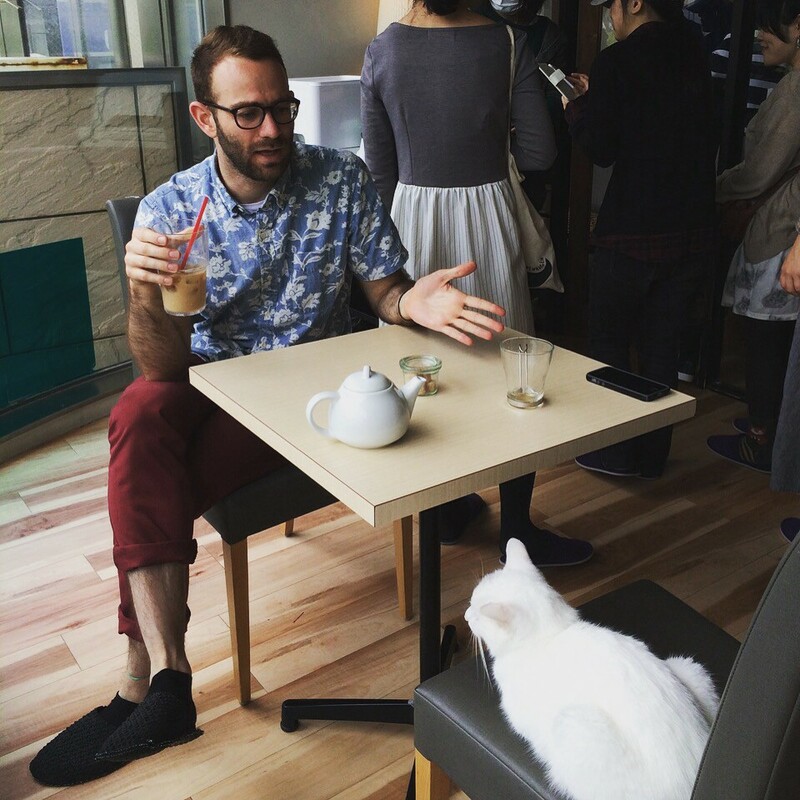 This is a Japanese cat cafe, where people go to drink coffee and hang out with cats. For me, it was just another awkward Tinder date. 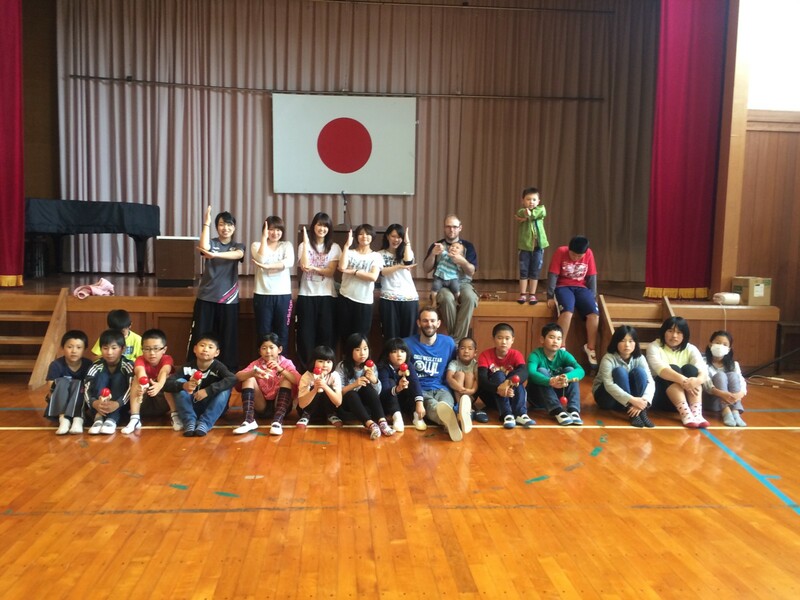 My third responsibility was teaching English through dance at elementary schools. I’d choreograph a little routine for the kids, and we’d all recite the English words as we performed the moves: “jump,” “bounce,” “march,” “slide,” “shake,” “pose.” Then I’d pump up the Beyoncé and we’d all get down. What’s Japanese for “FIERCE”? 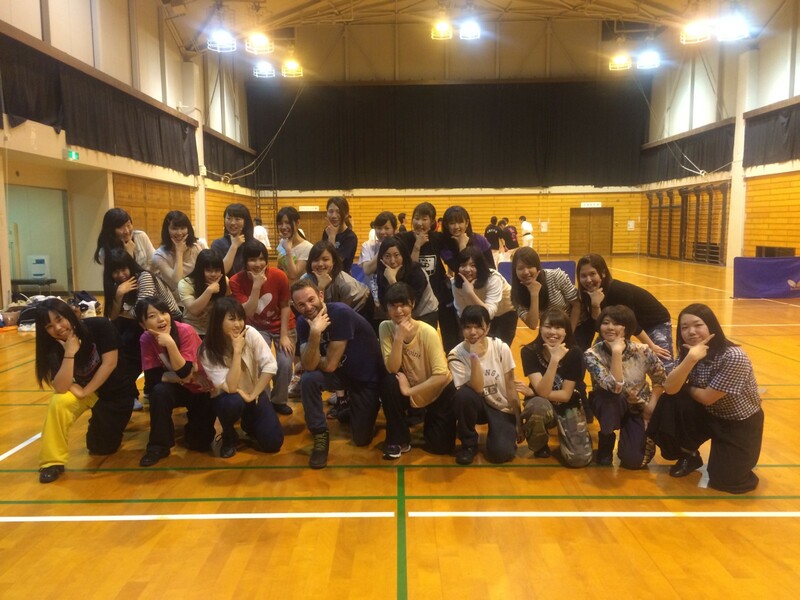 I taught hip-hop dance (mainly breaking and house) to dancers at the university. These girls. Could. DANCE. Play a lil’ game of Where’s Waldo and try to find me. 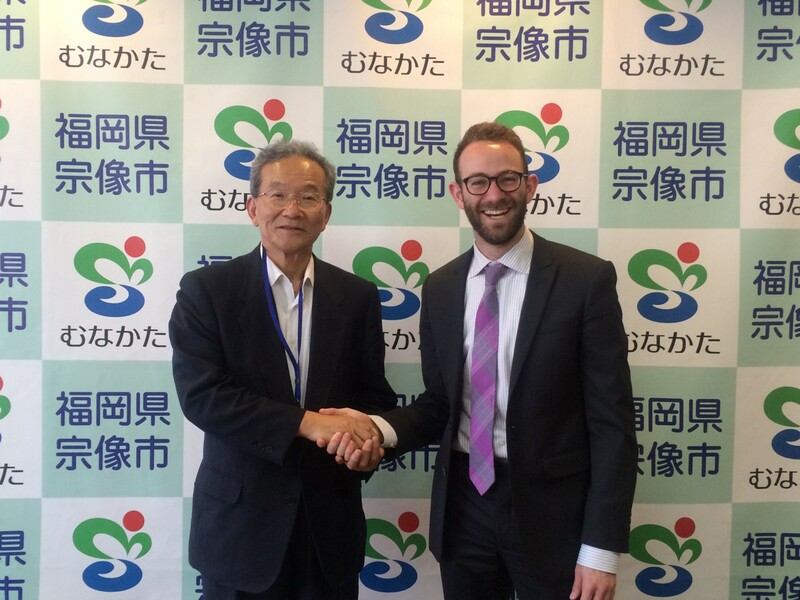 I met the mayor of Munakata City, who invited me to crash on his couch the next time I visited the city. Hope he wasn’t just being hospitable. For as much writing and dancing and talking as I did, I really just enjoyed the chance to ask questions and shut up and listen. I am so grateful for the opportunity to have gone — and for everyone’s generosity, insight and, most of all, patience. So much of what Americans think we know about Japan is distorted and exaggerated. It’s an incredibly fascinating and complex place; it’s beautiful and nuanced and elusive. I left with a greater appreciation for the country — and more questions about — than I had when I arrived. 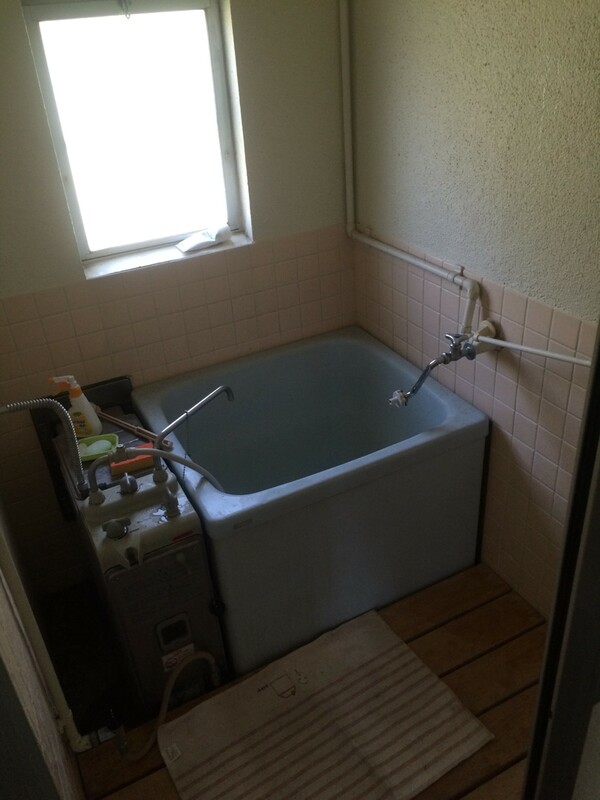 For example, how do you use this bathtub? Here was probably the best part. When you’re a tourist, you so often leave with just your photos and your memories. But on my sabbatical, I wasn’t merely a tourist — or a celebrity or a cultural ambassador or the hairiest person in the entire country, though I was all of those things, too. I was part of a community; I made real connections and will leave with personal relationships that’ll continue to evolve and flourish throughout my life. That doesn’t just include people, either. Everyone keeps asking me who took this photo. Her name is Yui, and she is a cat. Want a sabbatical of your own? Apply to work for DoSomething.org. 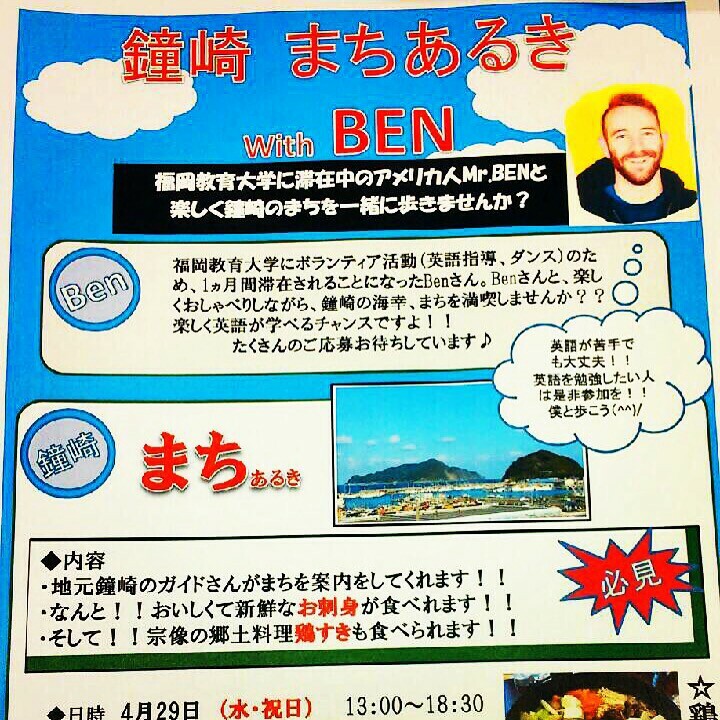 Want to volunteer at the Fukuoka University of Education or in Munakata city? 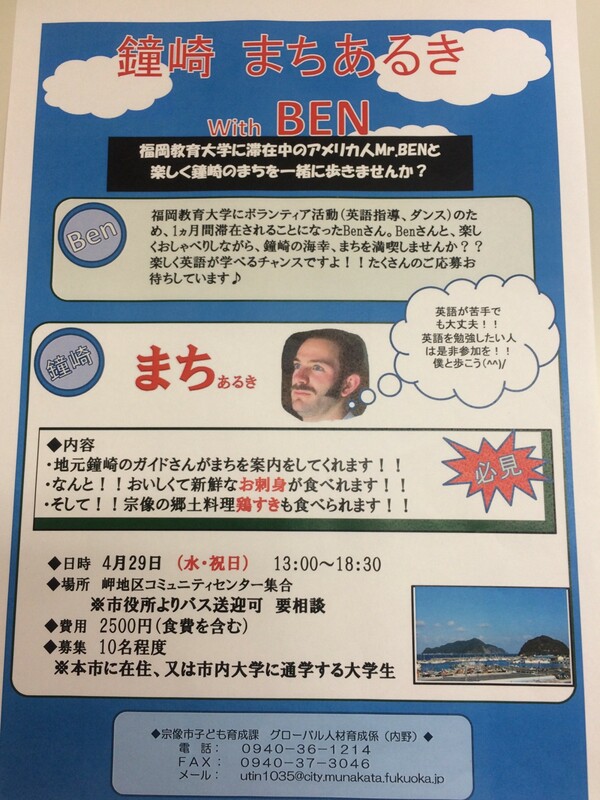 Email Professor Oga-Baldwin at qogab1@fukuoka-edu.ac.jp. 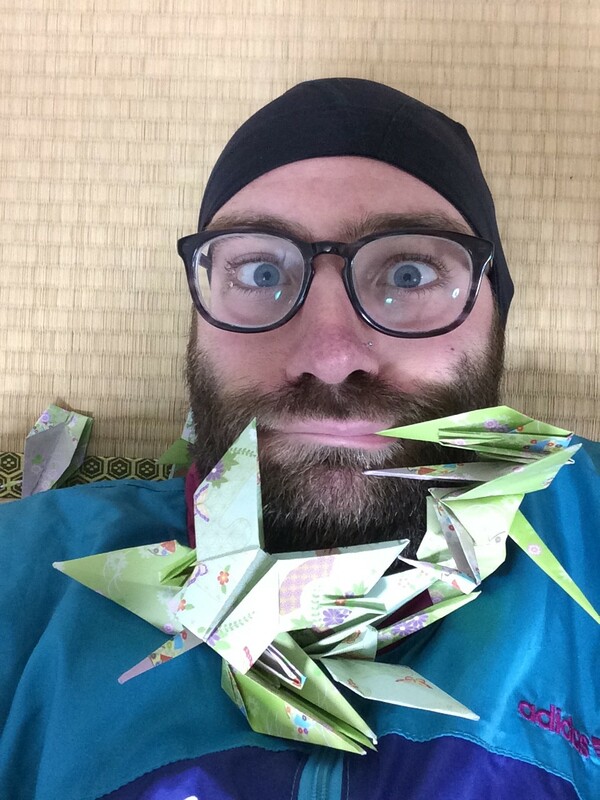 Ben Kassoy is the Managing Editor of DoSomething.org and the coauthor of eight books. He’s also written for Glamour, Maxim, Details.com, Women’s Health Magazine online, and a host of others. Ben tweets here. Dig this story? Go ahead and hit “Recommend.” Arigato gozaimasu! DoSomething.org is the largest tech company exclusively for young people and social change. 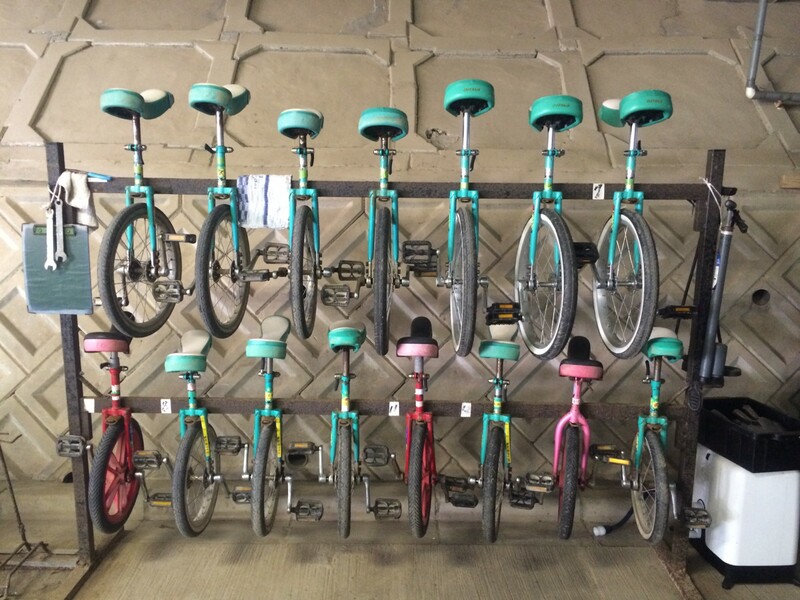 Read our latest at blog.dosomething.org.